Are you usually stressed out about traveling with your little one? Looking for ways to entertain a toddler on a plane? Wondering about what toys to bring on vacation? It can seem daunting to travel with a toddler, for good reason. You’re probably dreading the experience because they usually give you a tough time when you’re on a long trip. We’ve all had these difficulties, but now I’m going to offer some ways to combat them. Let’s set the worries aside. If you choose a good travel toy (or two), it will bring some entertainment to your child. Best of all, you’ll keep your sanity. If you integrate play into an otherwise dull travel experience, the benefits for you and your child — and fellow travelers — are likely to be substantial. Let’s look at how to choose the best travel toys for toddlers and the list of our chosen picks. Use the links above to check the latest prices or read our in-depth toddler travel toy reviews below. 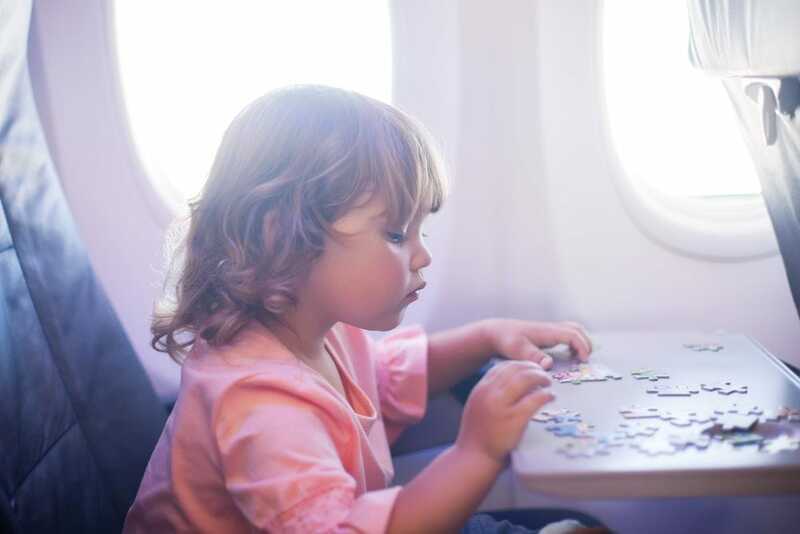 From books to puzzles, there are plenty of ways to keep a toddler entertained on a plane or road trip. I’ve invested in quite a few travel toys that keep my children busy whenever we’re stuck in a vehicle together. It’s great because when I take a couple of these along, they have something to do while I catch up on my reading or simply enjoy the peace and quiet. Furthermore, I can hop right in and play along with them to help pass the time (source). Here are some of my key takeaways for choosing the best travel toys for toddlers. 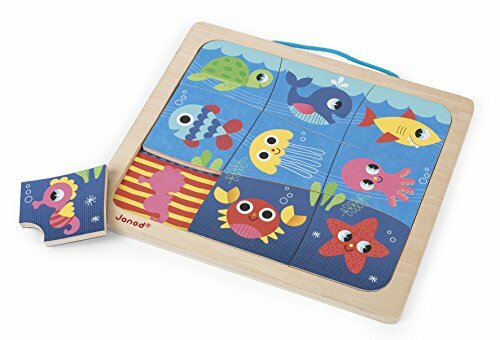 Magnetic pieces: Traveling with a toy or two that are magnetic means it’s easier to keep all the pieces in one place. Portability: Some toys are far easier to pack than others, and those are the ones you want. Look for smaller, more compact toys, and those that can easily be tucked away in a handbag or a carrying case. Convenience is key. 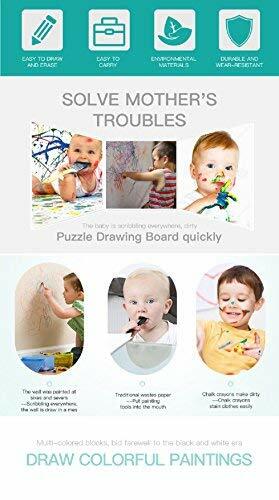 Erasability: For coloring and drawing games, look for markers that will easily wipe off surfaces. This avoids any mess your child might make. 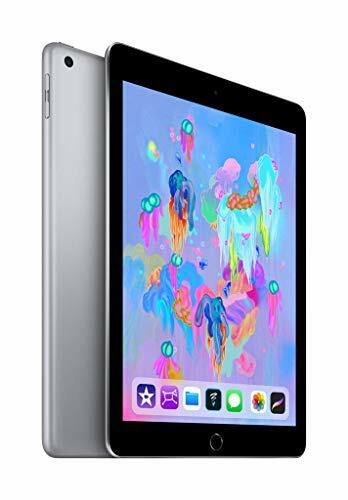 Electronic devices: An iPad or other electronic device is a no-brainer here. As we know, kids get glued to a screen quite easily, and while it’s not great all day long, it might save your sanity on a long-haul trip. Make sure to bring along some toys, not just one or two. Remember, children prefer variety and novelty. Try to surprise your child with a new toy, just for your trip. Toddlers are likely to be most entertained by a toy they haven’t seen before. Coloring books and storybooks are great. You can use both to tell stories about the characters. Look for toys with a little action required, things they can put together, etc. You want to keep your kid as entertained as possible without going wild. Choose toys that don’t create too much noise, especially if you’re flying, so fellow travelers can rest, too. Look for easy-to-clean materials, so you can quickly wipe off the gunk toys may accumulate if food or liquid spills on them, or if they’re dropped on the floor. Keep different toys well-organized in your hand luggage, so you can easily pop them out when needed. Now that you have some ideas on what to look for in travel toys for toddlers, let’s go through our favorite options. You’re bound to find something to help buy you some quiet time while entertaining your toddler as well. This tray is truly one gem of a find. It’s an all-purpose, waterproof companion, whether you’re flying or on a road trip. It also comes with a portable zipper bag for storage, and the sidewalls are padded with quality, durable materials. 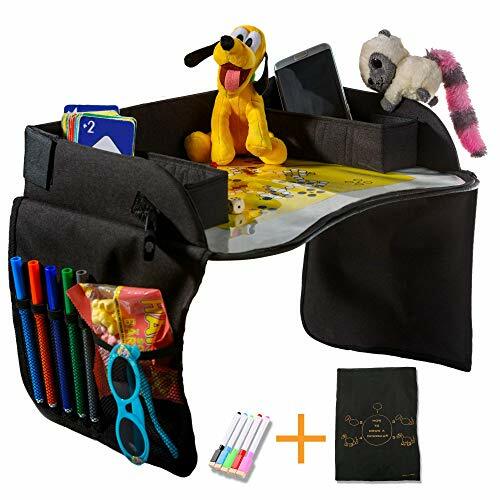 Whether your child enjoys drawing on the tray’s washable surface or using its foldable organizer pockets to store toys, the tray has plenty of uses while traveling. When you want to entertain a toddler on a plane, you can’t go wrong with an interactive book. Featuring different animal characters on buses, trains, and more, you’ll probably have your child practicing and mimicking the sound of each. Also, the author’s signature style of bright colors and illustrations is guaranteed to keep your child wide-eyed and intrigued. Fun for keeping the younger ones entertained, the Magneto puzzle is a great travel pick because the pieces are magnetic, and less likely to get lost. It’s also lightweight and compact, so it won’t take up that much space in your travel bag. I remember how happy and proud my own little ones were when completing these simple activities, and they aren’t too challenging, with only nine pieces to the puzzle. As we all know, children can be quickly distracted by a cartoon or interactive game when a screen is involved. While we don’t recommend all-day play on one of these, they’re a total lifesaver when it comes to traveling. This model features 32GB of storage, is Wi-Fi capable and provides up to 10 hours of battery life without charging. Load it up with some easy-to-use games and get a durable case while you’re at it. 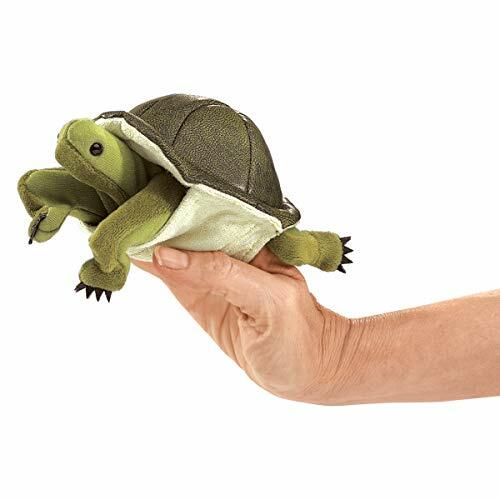 Made of durable materials, this soft turtle is great for role play and is a storytelling companion that will help stretch your child’s imagination. There’s space to slide in your fingers and animate the plush puppet turtle while your child plays along. Furthermore, your child will most likely want to switch roles and be the storyteller for you. This is a great option for open-ended play. 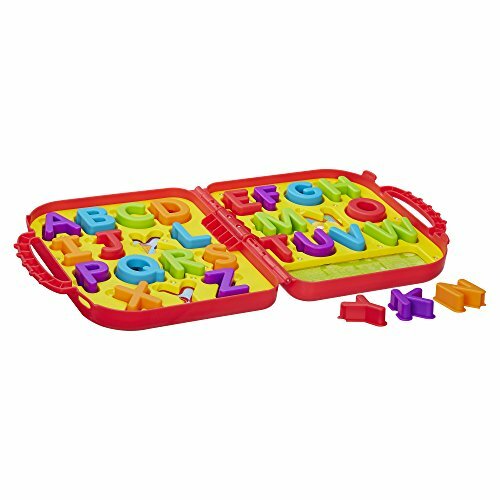 With a carry-on case for easy storage and 26 letters in an array of colors, this toy makes learning the alphabet so much fun. Kids will enjoy learning new words and letters with the familiar Sesame Street theme. Underneath each letter is an image of a word starting with that letter. Even if your child can’t say all of the letters yet, they’ll easily begin to identify each. 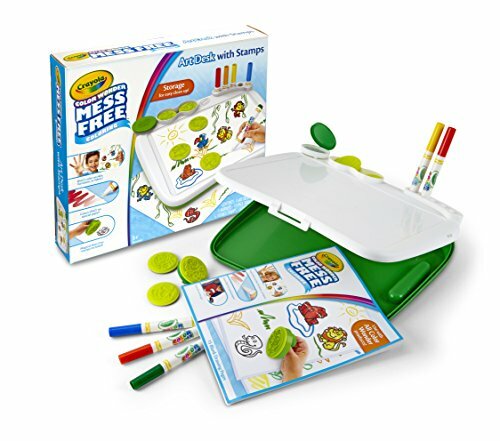 This magnetic drawing pen and board offer a reusable surface for kids to learn to draw and write step-by-step. A durable tool, it’s also small and convenient for traveling. It makes for a great way to keep your child entertained without the mess of crayons or pens. Scribbling also helps develop your child’s motor skills. 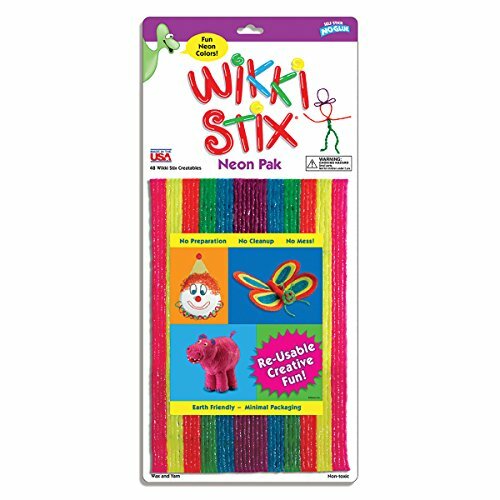 These non-toxic, malleable 8-inch sticks can be reused time and time again, and are made from food-grade wax and yarn. Bright and colorful, they provide ample opportunity for creativity, whether your child uses them to form letters and numbers, animals, or 3D shapes from their imagination. When you’re on your next flight or road trip, your child will have the opportunity to enhance their artistic skills with this pack of 48 sticks. We recommend placing them in a Ziplock bag once the pack is opened. 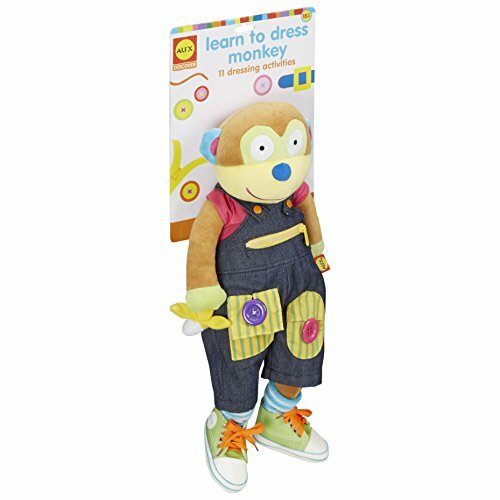 This 21-inch-tall monkey helps kids learn how to use buttons, zippers, laces, and more. A winner of the Creative Child magazine’s Preferred Choice award, and the iParenting Media award, the plush fabric monkey teaches kids to dress through 11 different activities. It’s recommended for toddlers aged 18 months and older. The monkey features socks, a T-shirt, lace-up shoes, and overalls — all of which are totally removable. This flower magnetic game is a cute, little option for your child to practice their fine motor skills and creative play possibilities. It operates with a simple action step. All your child needs to do is guide the colored balls using the attached magnetic rod, sorting them to match with corresponding colors. Since it’s a one-piece toy, with the wand attached, there are no pieces to lose and it’s easy to throw into the bag and go. These small wooden lacing toys are great for helping kids develop their coordination skills. They’re lightweight, so you won’t have to worry about the hassle of moving around with them. Made from sustainable wood, they’re also eco-friendly. This set comes with three pieces, each a different animal, including holes for your child to thread the strings in and out of. Simple but fun. 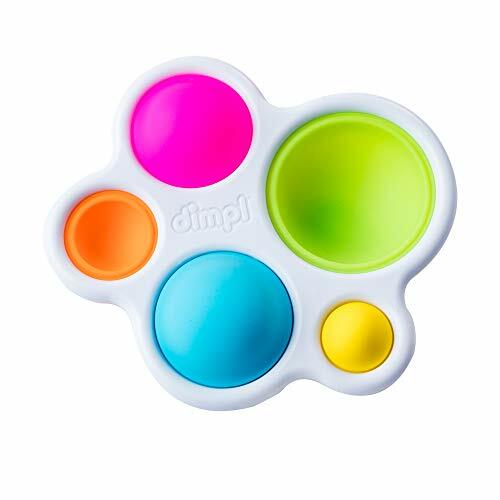 A cute, colorful option for kids as young as 10 months old, this sleek BPA-free toy is great for tossing in a handbag or backpack. It contains different-sized silicone “dimples” for your child to push and pop up and down. A fantastic opportunity for them to work their little fingers. 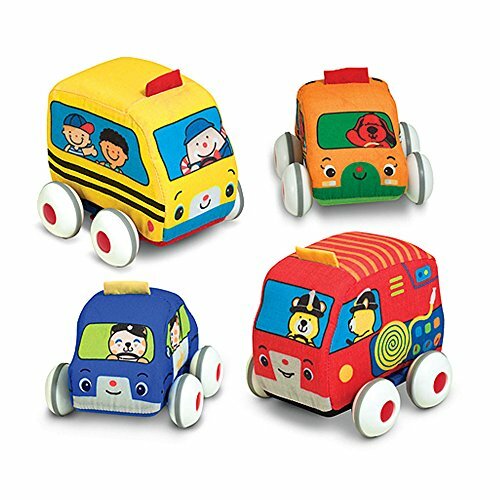 Another transportation-focused toy, these soft vehicles are great for kids to skid across any surface while you’re traveling. Although you might have to chase them down the aisle if the kids get the hang of it on a plane! The size also makes it easy for young toddlers to hold and handle. Best of all, you can wash off the dirt that accumulates easily — simply wipe and go. 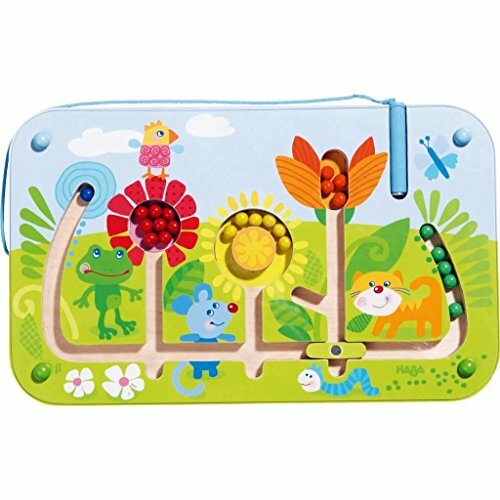 This travel art kit is an affordable one, suitable for older toddlers and into the preschool age. Packed with a variety of art supplies, this kit comes with a slim case for easy travel. It includes five stamps and five markers, plus a 15-page coloring pad. Forget about the hassle of spending a long time cleaning up after drawing time, especially since the marks only show up on special coloring books and refills. 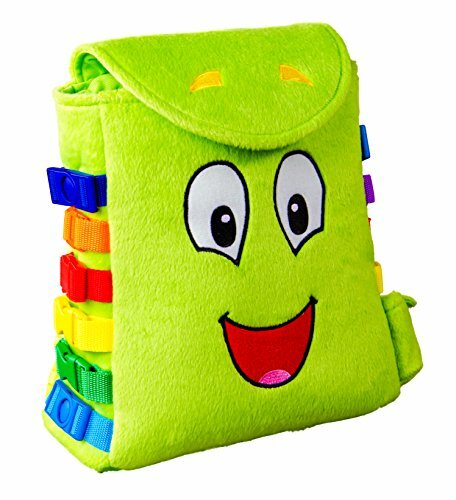 This backpack comes with 12 versatile clasps to play with, supporting the development of toddlers’ motor skills. The material is soft and colorful, and the adjustable straps allow the backpack to grow with your child, up to approximately 4 years old. Most toddlers like to mimic their older siblings, and with this backpack, they’ll feel mature and ready for adventure. Traveling presents a great opportunity for us to taste new things. With this book, it may encourage your child to open up to things they may not try otherwise. 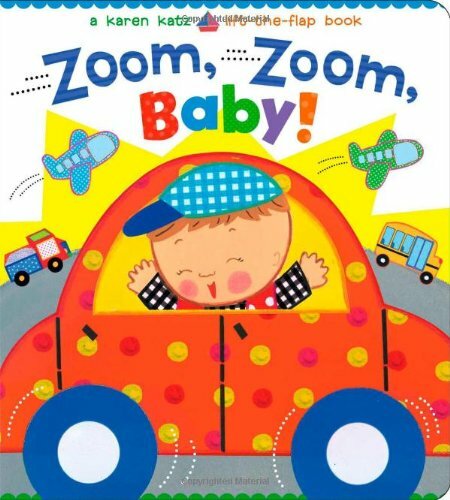 With an expressive toddler as the protagonist, this is an all-time favorite, for good reason. In bright illustrations, the book comically tells the story of a young boy deciding if foods are “yummy” or “yucky”. You’ll have a good giggle with this one. 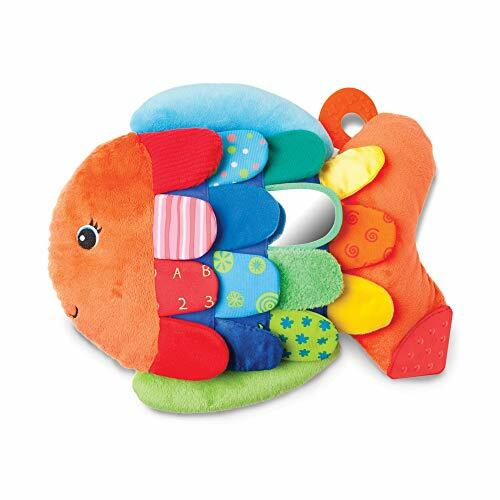 This cuddly fish friend is colorful, made from washable fabrics, and helps promote grasping and finger strength. Your child will love exploring the multiple textures of the crinkly scales, shatterproof mirror, and more. Hidden pictures beneath the scales are waiting to be discovered. 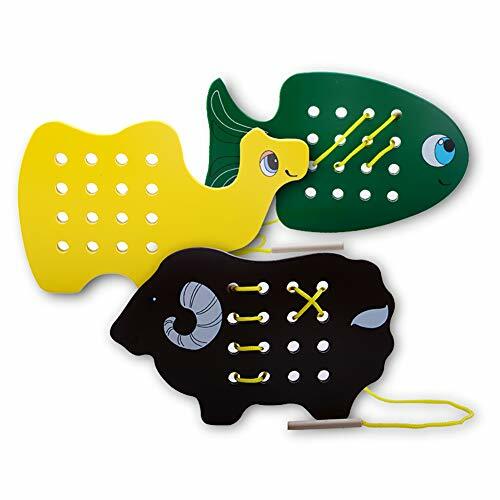 Suitable for children starting at the baby age range, the flip fish measures 13 inches long but weighs less than a pound. This one might stay around for a while. There are plenty of great travel toys for toddlers out there, and we hope you’ve learned a thing or two while reading our roundup. Traveling with toddlers is the ultimate challenge and knowing how to make it a bit smoother can really help in the long run. My absolute favorite item on this list is the Kids Travel Tray by Childideas. Because it’s multi-functional, I feel it gets good use and gives your child the chance to take some ownership over their allotted space on a plane or in a car. Furthermore, it’s durable and waterproof, need we say more? We would love to hear more about your own experiences entertaining a toddler while traveling. Do you have any tips for other moms out there? Let us know in the comments.